Kejriwal said the Delhi government will approach the SC in two to three days to get a stay on the sealing drive happening in the city. 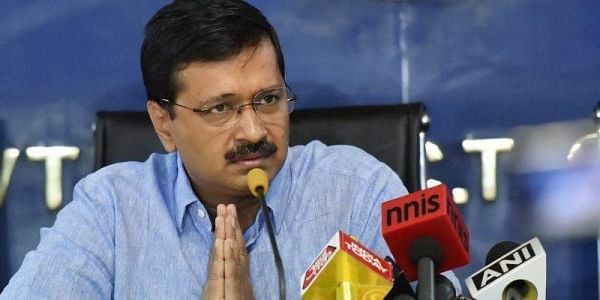 NEW DELHI: Chief Minister Arvind Kejriwal on Tuesday said the Delhi government will approach the Supreme Court in two to three days to get a stay on the sealing drive happening in the city. The sealing of shops and businesses -- even doctors' clinics -- located in residential premises is being carried out by a Supreme Court-appointed Monitoring Committee and is being implemented by the three BJP-led municipal corporations. Addressing a gathering in Meherchand Market of south Delhi, the Chief Minister said the Aam Aadmi Party government was "fully against the sealing drive". "In the next two to three days, the Delhi government will file a petition in the Supreme Court to get a stay on it." Kejriwal also visited Hauz Khas market, Sadar Bazar, Chandni Chowk and Hudson Lane Market to take stock of the sealing drive. "We will put all your problems in the petition and get a stay from the Supreme Court," he said. Kejriwal's visit came after a meeting with a Bharatiya Janata Party delegation on the issue earlier in the day ended in chaos with both sides blaming each other.